Thinking of holding an awesome house party? We will help you organise the best few days of your life! Be the envy of all your friends by throwing the ultimate House Party at Bickleigh Castle, 8 miles North of Exeter, Devon. Forget paper plates and plastic cups; forget chips and dips and unidentifiable cocktail mixtures; forget the horrendous clear up the next day. 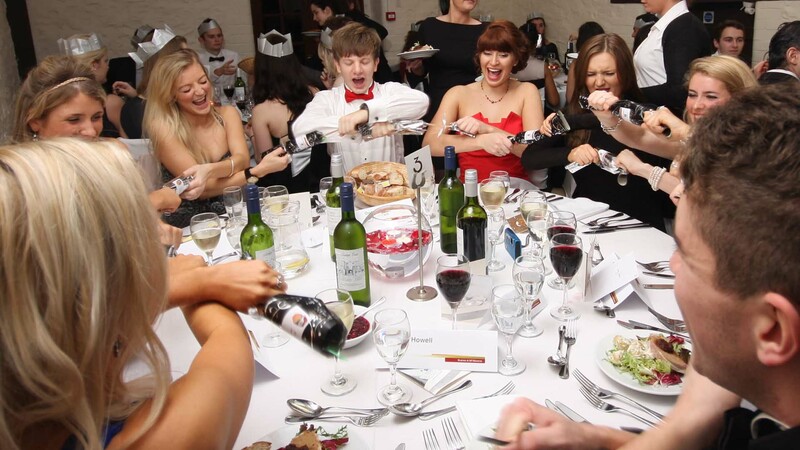 Bickleigh Castle can help you to host the most exquisite castle house party in the South West! We all love a good house gathering, but if you are looking to plan a party with extra pizzazz, then look no further! 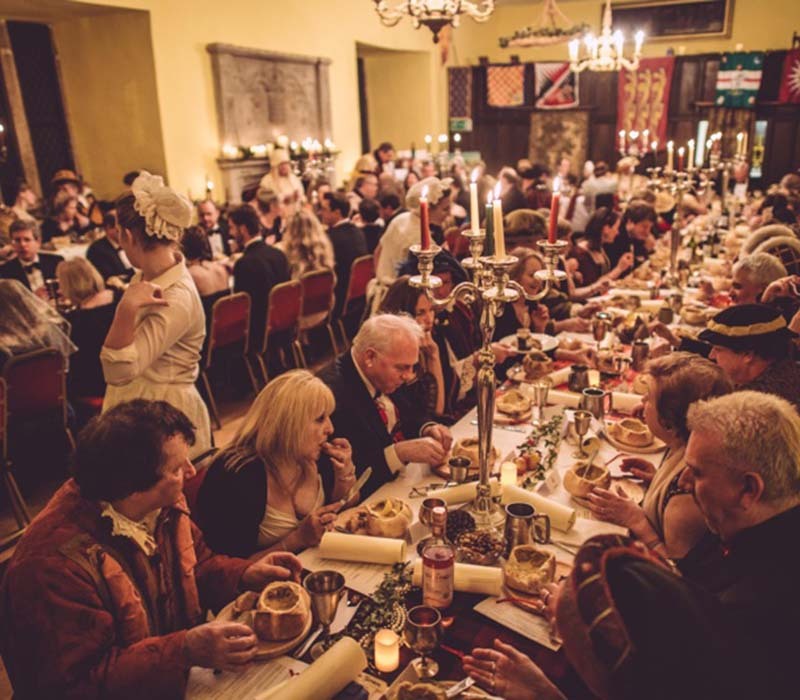 What better way to dazzle your guests than by hosting your next party in an 11th-century castle? 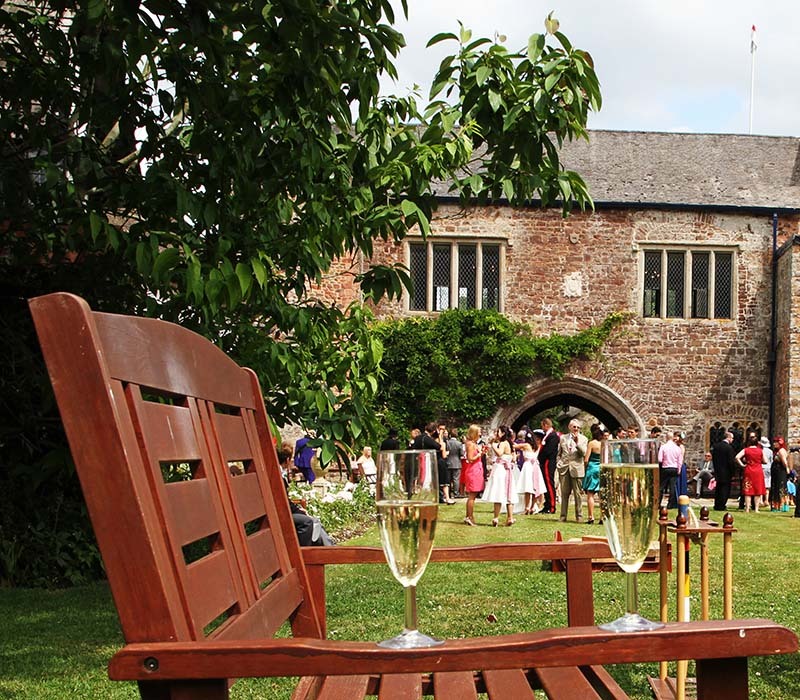 While hotels may offer you the chance to hire venue space, a legendary party at Bickleigh Castle enables you to hire the whole Estate, ensuring your friends and family have complete privacy and exclusivity. Why not host your party at Bickleigh Castle? Bickleigh Castle is a Grade 1 listed building nestled in the heart of Devon – 20 minutes from the M5 and easy to reach from Tiverton Parkway and Exeter Railway stations, as well as Bristol and Exeter airports. 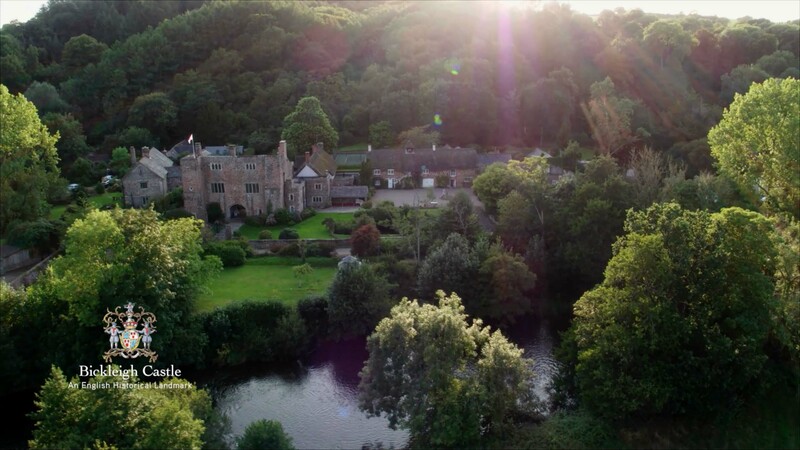 The Castle stands proudly in the Exe Valley, surrounded by countryside, with the River Exe running through the Estate, making it the perfect backdrop for your ultimate house party. The estate contains some amazing features – the historic Saxon chapel dating back to the 6th century; a motte and bailey; an enclosed courtyard; an elegant Hall and spectacular scenery to feast your eyes upon. 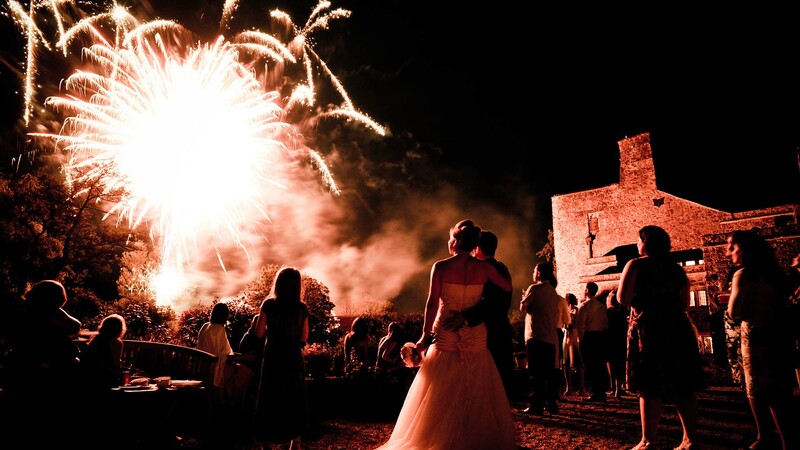 Bickleigh Castle also hosts many weddings, parties, and other events, all tailored to your specific requirements. House Party – Join like-minded people for an exclusive weekend break including all meals for just £340 per person for groups of 20 or more. 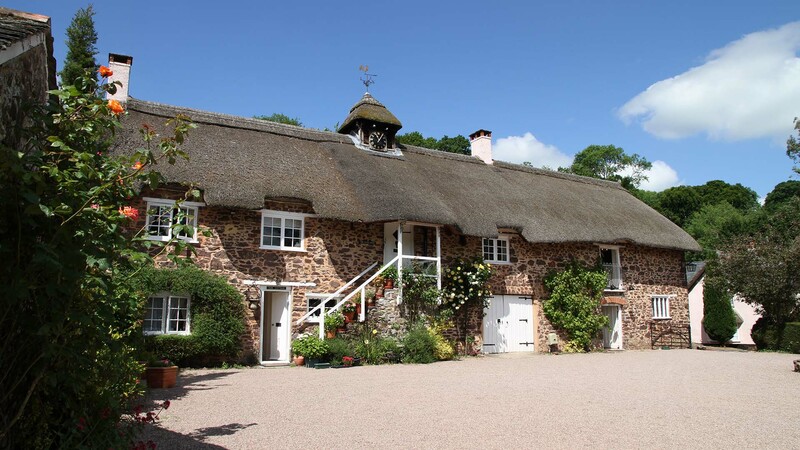 Accommodation is mainly in our Grade 2 listed thatched cottages, with one grander room in the Castle itself. We have a very cosy guests’ sitting room where you can relax at any time, and link up to the internet. There is extensive free parking; the railway stations (Tiverton Parkway and Exeter St Davids) are less than half an hour away, as is Exeter Airport. We have a disabled parking facility and several rooms are accessible to people in wheelchairs. With regret, no pets please. Some activities may incur an additional cost. Available for House Party guests are our outdoor four-seater Jacuzzi in a discreet and leafy setting, our Croquet lawn, the hard Tennis Court, and space for activities such as Archery, Zorbing, football and cricket. As we have the River Exe flowing through the grounds, it is possible to try some Kayaking, and also fly-fishing (if you have the kit). Our quiet lane is suitable for running, walking, cycling and riding (though it is more usual for people to book riding at our local stables) and we can arrange for you clay-pigeon shooting at a nearby shooting school. 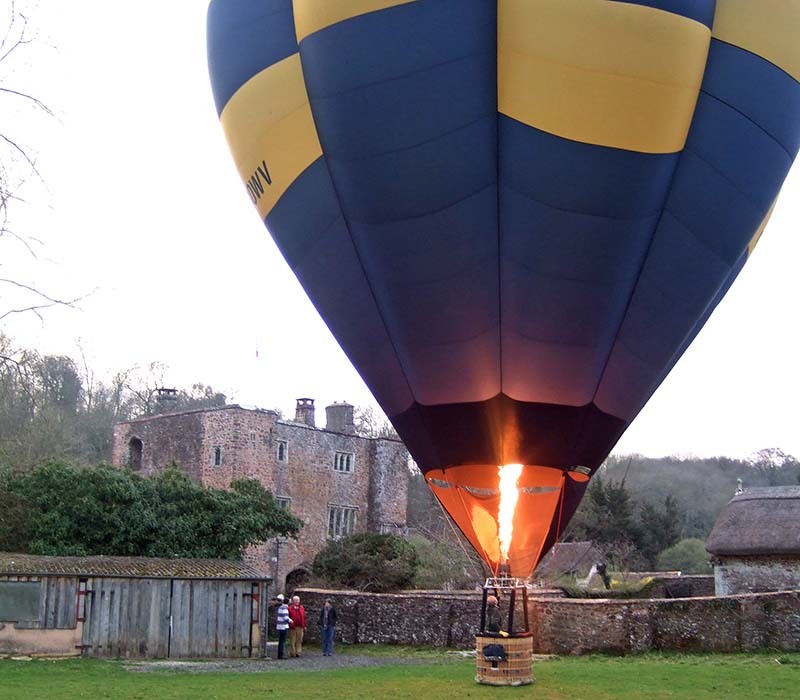 In all, Bickleigh Castle offers great scope for outdoor activities, especially in the Summer months. We can also offer a variety of indoor activities including a late-night Movie, a Castle History Tour, a Treasure Hunt, a Casino (at extra cost), various games – we welcome suggestions.